SA Rugby Sevens Academy Manager, Marius Schoeman, confirmed invites to some of the brightest young stars on the local schoolboy scene, as well as more established players for the 2019 SA Rugby Sevens Academy programme. According to Schoeman, contracts have been signed with University of Johannesburg and Xerox Golden Lions player, Ronald Brown and Boland’s Craven Week stand-out, Christie Grobbelaar, while SA Schools midfielder, Muzi Manyike, has been invited to join the Academy on a dual arrangement with the Golden Lions, as was Cell C Sharks Under-21 winger, Ilunga Mukendi. Vodacom Blue Bulls Under-19 player Ruben Beytell and Cell C Sharks Under-21 player Luyanda Mngadi are two more players who will join for the first time in November. Current Academy players JC Pretorius, Muller du Plessis, Mfundo Ndhlovu, Angelo Davids, Henco Martins, and Sako Makata will rejoin the Academy once their provincial commitments are completed. Two others, Henk Cilliers and James Murphy, have already started their pre-season in Stellenbosch. 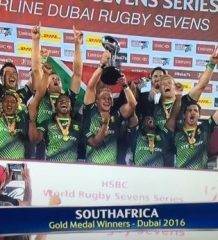 “We were again reminded of the valuable contribution of the Academy towards the Springbok Sevens set-up earlier this year, especially in Hong Kong, and it is fair to expect that a number of these new recruits could play a significant role in the Blitzboks team in years to come,” said Schoeman. Former SA Rugby Sevens Academy graduates include two World Rugby Sevens Player of the Year winners in Werner Kok and Seabelo Senatla and in 2018 celebrated Test debuts for the Springboks of Kwagga Smith and Cheslin Kolbe, both of whom are also former Academy members. “It was really great to see Kwagga and Cheslin, who both played for the Academy side and were part of the South African Sevens squad at the Olympic Games in Rio in 2016, earn Test caps. It certainly is a boost for our system to know that our players can go all the way in both codes and there is no reason why not more could do that,” Schoeman said. 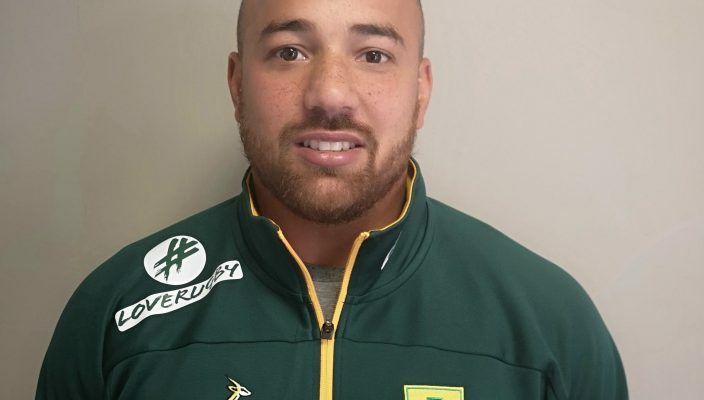 SA Rugby also confirmed the appointment of Ghafoer Luckan as new Springboks Sevens Strength and Conditioning coach. Luckan, who previously held a similar position with the Vodacom Bulls, will start in his new role on Monday, 17 September. Before his three year stint in Vodacom Super Rugby, Luckan worked as Strength and Conditioning Coach at the SA Rugby Academy in George. He played provincial rugby for DHL Western Province, the SWD Eagles and the Leopards. “It is great to have Ghafoer in our system,” said Schoeman, who is also High Performance Manager: Sevens for SA Rugby.